At Rhydypenau Primary we are working towards Investors in Pupils. 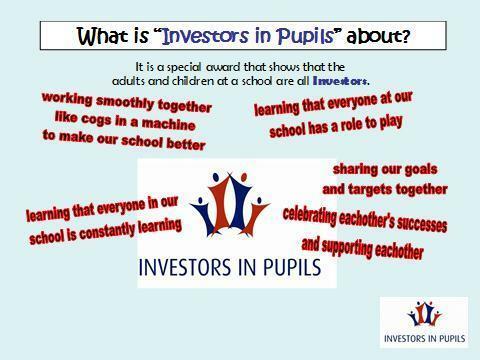 Investors in Pupils is a quality award. We would like to share our ideas with you. Is committed to the development of everyone who is a member of our school. All supporting adults are involved in the process. These include teachers, office staff, parents and carers, lunchtime staff, school support staff governors and cleaners. 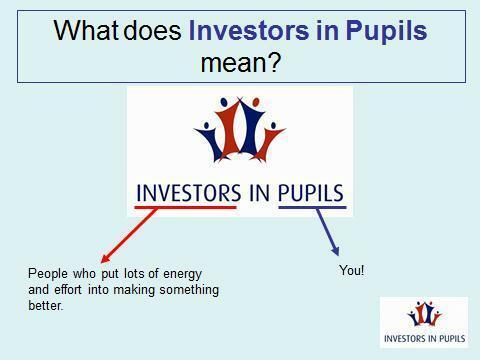 Investors In Pupils helps pupils find out why they go to school, about the jobs of everyone in the school and how each person is involved in their education. Relationships, Teamwork and the Roles and Responsibilities of everyone involved in their education. If you invest money, time, or energy in something you try to make it a success. Investors in Pupils requires pupils to set themselves individual targets and agree class targets, to improve the understanding of their own role in the learning process to enable them to achieve their full potential. The class mission statement is on each classroom door and the class induction booklets are being made and when ready will be available for you to read on request. For more detail and information, please take a look at the Investors in Pupils Handbook. Take a look at this presentation for more information about Investors in Pupils, School Council and Eco club.